Royal Crown Derby are renowned for creating beautiful commemorative pieces to mark many of the momentous Royal occasions, dating back to 1761 when the first commemorative piece – a printed mug was created to celebrate the Coronation of King George III up until the most recent Royal announcements including the marriage of H.R.H Prince Henry of Wales to Ms Meghan Markle this month and the birth of H.R.H Prince Louis of Cambridge. 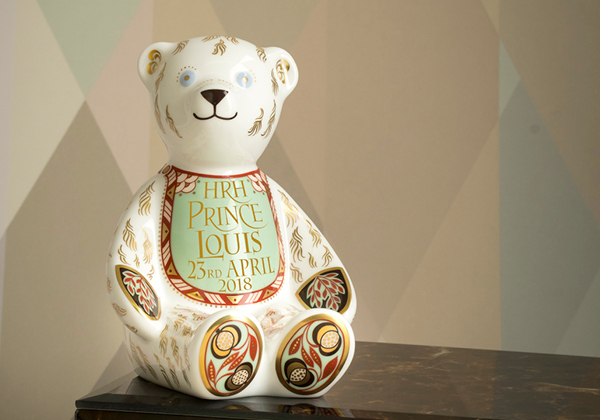 The latest additions to the Royal Commemorative Collection are to celebrate the birth of H.R.H Prince Louis of Cambridge on the 23rd April 2018. Why not take a moment to explore this wonderful newly launched collection to commemorate this very special occasion. 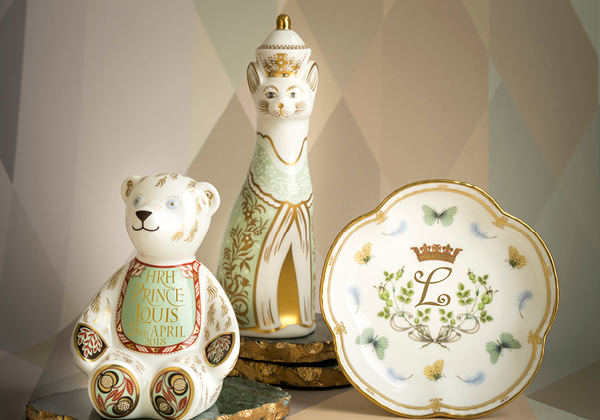 This very special collection consists of three stunningly handcrafted fine bone china commemoratives; the very collectable Bib Bear as a limited-edition piece of 1,000, a Five Petal Tray as part of the general range, together with a Royal Cat – a limited edition of only 450 and the fifth member of the Cambridge Family Royal Cat Set featuring a statement crown to represent the harmony of the family unit. 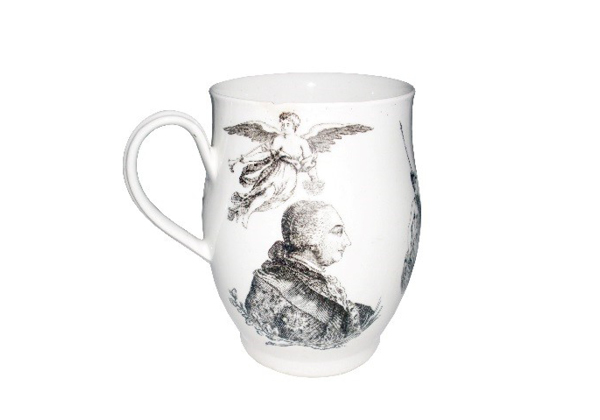 Each piece is beautifully decorated, taking inspiration from the initial designs made for the Prince George and Princess Charlotte commemorative collections. Using the much-loved Darley Abbey green which reflects a calming, refreshing and nurturing nature including an inscription finished in 22 carat gold on the Bib Bear reading ‘HRH Prince Louis’ and the date of the birth ‘23rd April 2018’. Featuring a distinctively scalloped edge on the Five Petal Tray to frame the illustrative pattern consisting of the same Darley Abbey green, with lemon butterflies interwoven with pale blue feathers to accompany the flower buds pattern. Bound together with a lemon ribbon central motif and a princely coronet of Prince William positioned above the initial ‘L’ for Louis completed in hand applied 22 carat gold. All three items include a gold backstamp and presented in its own gift box, a perfect Collector’s gift of luxury. View the 2018 Royal Birth Commemorative Collection here.